All Year 7 students journey to Rawson in Gippsland for the Orientation camp in mid-February. The primary purpose of the camp is for students to get to know each other and their teachers. Students participate in a number of exciting outdoor activities over the three days, ably supported by Year 10 Peer Support Leaders who work with the students throughout Term 1 to assist with the transition to secondary school. 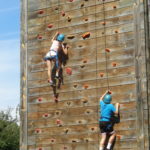 Activities include rock climbing wall, abseiling, canoeing, bushwalking, and four-wheel driving. All Year 8 students journey to our nation’s capital, Canberra for a five-day educational tour that is linked to their humanities program. 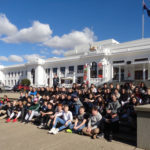 Student visit a number of key sites, including the old and new Parliament House, The National Museum, royal Australian Mint, Canberra Deep Space Communication Complex, High Court of Australia, Australian War Memorial, Questacon and the Australian Institute of Sport. All Year 9 students will be involved in a five day beyond school Discovery experience. 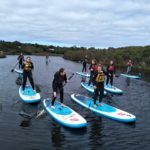 Students are presented with various options such as: Sea Kayaking, Mountain Bike Riding, Surfing, Performance, Hospitality and Sailing. There is also the option of a two-week World Challenge experience to Thailand. Year 10 students have the option of travelling to Tasmania at the end of Term 3 for a five day tour. While not directly linked to the curriculum, it is nonetheless a great learning experience and very enjoyable. Students sail overnight on the Spirit of Tasmania, before travelling to a number of noted locations including Hobart, Launceston, historic Port Arthur, beautiful Freycinet National Park and the remote and majestic Maria Island, where they stay overnight. By far the most popular optional educational tour that Emmaus offers, and almost a right-of- passage for our students. Students travel by coach to Adelaide, followed by a night in a cave in the opal mining town of Coober Pedy and finally camping at Yulara. 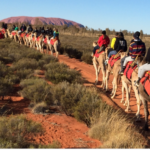 Students have two days to explore Uluru and Kata Tjuta before heading to Kings Canyon and finally Alice Springs before flying home. As well as seeing major natural world landmarks, students really appreciate the vast scale of this more remote region of Australia. 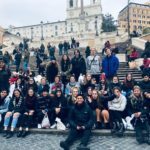 Offered every two years during the Easter holidays, the Europe Trip is truly a trip of a lifetime experience for the senior students fortunate enough to part of this tour. Students travel to many of Europe most noted cities and see world famous sights every day. Cities visited generally include London, Paris, Munich, Salzburg, Venice, Florence, Pisa and Rome. As well as the obvious attractions visited, students also learn to navigate public transport, and also overcome language barriers. The Italian trip is offered every two years towards the end of the school year, for our senior Italian students. This experience combines an exchange program with our Sister School and a tour of Italy. Students spend a number of days in Pinerolo with host families from our Sister School, before visiting cities such as Milan, Venice, Florence, Rome and the Amalfi Coast. Our students return to Australia with enhanced Italian Language skills as well as a deeper appreciation of all things Italian. Offered every two years in the September holidays, this trip combines an Exchange Program stay with families from Kennedy Catholic High School Seattle as well as visits to key locations in California and also Hawaii. Offered every two years in the Easter holidays, this trip combines a visit to our Sister School, Santo Joseph Jakarta as well as time in Bali to enjoy the scenery and culture while improving Indonesian language skills.